When word of this 12″ surfaced for RSD 2013, I put it on my “to buy” list due to two factors. One, I “collected” Eurythmics and was intrigued by these remixes of material they had recorded with famed producer Conny Plank at the dawn of their career. Two, the previous couple of years had seen me soaking up Krautrock both old and neu like a sponge due to the reissue program of German label Bureau B. Five hundred copies of this were available in the US and I made sure to have one of them in my Record Cell. After only 2+ years, I have managed to give this one a spin and here are my thoughts. I really loved “In The Garden” that saw the erstwhile Tourists Annie Lennox and Dave Stewart taking a sharp left turn in 1981 to Germany and a return session with Conny Plank, who had produced the first Tourists album in 1979; this time meeting him halfway on his home turf with members of his “posse” such as Jaki Liebzeit, Holger Czukay, and Roger Stockhausen guesting on the resulting album. I wasn’t able to hear this record until after “Sweet Dreams” hit and made it finally available. The first track remixed was a deep cut from that album. The Popnoname remix of “Take Me to Your Heart” has been given an insistent discobeat underpinning that interlocks with the original, slower beat. It’s a little disconcerting and obtrusive for such a low key song. I like the intimacy of bringing up Lennox’s vocals in the mix while stripping them absolutely dry. The dub effects on the vocals after the middle eight were more problematic. It sounded as if the remixer had been singing along with Lennox for a verse. Lennox sounded more emphatic as well, suggesting that perhaps a different take had been used for that portion of the mix. After the middle eight, more synths were added to the minimal mix to take it to an almost crescendo, before dropping out and leaving the original beat to serve as the outro. The result was listenable, and almost interesting, but my heart was still with the spartan original. The vocal treatment was good, but the cruft added to the mix here made it less potent. I have not heard Mobius + Plank’s “Material” album of 1981, but the Walls remix began on an abstract foot before a steady beat with a motorik synth riff locked it down into an effective bit of trancedance. The almost synthpop melodies did seem at odds with the probably less decadent tenor of the original, which I sampled to judge the merits of this remix. I have to admit I would probably prefer the original version but the remix was not so inferior that I would want to turn it off. That might be closer to the truth with the Eye/Boredoms remix of NEU!’s “Für Immer.” The trancewrok potential of the original had been lost in the sonic blender that the music had been poured into along with the contents of a kitchen sink …and then the “purée” button was pressed. This was a violent, jarring remix of material that originally existed to suggest smooth concrete vistas receding into the periphery. It called way too much attention to itself. Not much better was the remix of the obscure Eurythmics B-side “Le Sinistre.” Holger Czukay’s unique walking rhythm track remained albeit with other competing rhythm loops to detract from its effectiveness. The doom-laden bass and piano chords of the original which created such an anxious air when juxtaposed against the rhythm of walking were removed entirely swamped in gratuitous effects. Again, the isolation of the Annie Lennox vocals were the thing to listen to here. The busy remix to an austere original absolutely worked to its detriment. In these cases, less had been more. This EP was Monk-bait of a strong kind, but having heard it, the results were hardly essential. Sure, I’ve heard worse remixes, but these managed to take material with miles of integrity and strip that away with a clumsy ego attack by remixers who were clearly inferior to those who had recorded the originals. This entry was posted in Record Review and tagged 2013, Conny Plank, Dieter Mobius, Eurythmics, Krautrock, NEU!, Record Store Day. Bookmark the permalink. 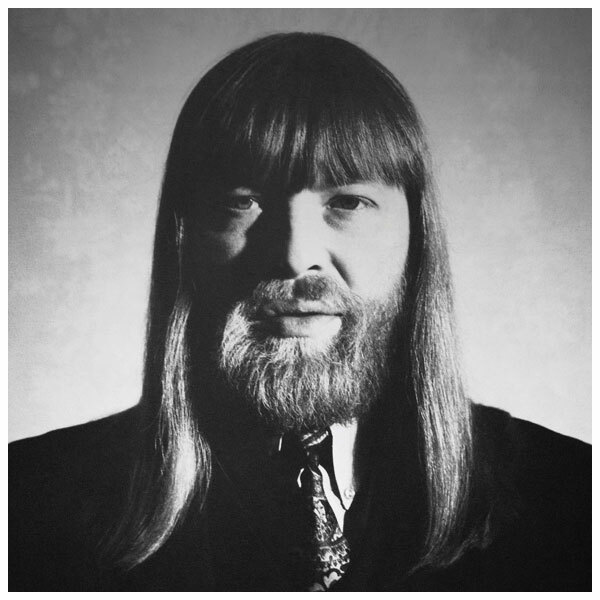 I’m a huge fan of Conny Plank. He has produced some of my favorite music of the last 40 or more years. He and the work he is associated with is not everyone’s cuppa, and isn’t always that accessible or easy to understand, but he was an innovator, a producer never too shy to experiment and one who always spoke his mind. Maybe his greatest musical decision was one that created NO MUSIC. When Brian Eno thought maybe Plank should produce U2’s Joshua Tree rather than himself, Plank’s response was that he could “…never work with this singer.” A sage as well as experimental mind. Echorich – You just repeated my favorite Conny Plank anecdote! I wonder when U2 will get a around to having George Martin [or even Stephen Lipson] to produce an album? After all, they seem to have tried to poach every one who produced an Ultravox album! Successfully, in the case of Lillywhite and Eno!